Jays' Tee Vee: Steins Gate: What the Hell's Going On! ... And Why Should I Care? Steins Gate: What the Hell's Going On! ... And Why Should I Care? Folks have been saying for several years now, that I should be giving this one a look see. I tried and ... well ... after two and a half episodes, I ditched it. Now, I've nothing against shows that make me think. The Ghost in the Shell franchise, Serial Experiments Lain and several others are favorites of mine. What I don't like are shows that make me think ... that I have to take lots of notes in order to keep track of all the double/triple headers going on at once. All I know from this mess is SOMETHING is going on with time, a microwave oven and a cell phone ... And that everyone is excited about ... something. 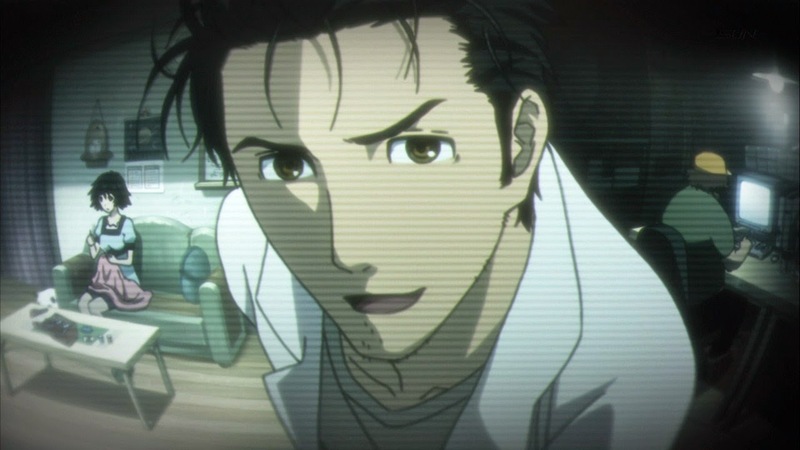 Not to mention the main character, a one Rintaro Okabe Kyoma Hooin whatever, is a LOUD, obnoxious, annoying jerk. That and a paranoiac as well. Pretty much the same reasons I don't care much for Trigun or Irresponsible Captain Tylor. Characters like Vash and Tylor get on the nerves. So does this show. Wikipedia article on Steins Gate here.